With a crinkle latex finish that offers exceptional grip, the Portwest Thermal Orange and Blue Grip Gloves A145OB perform excellently in manual handling situations in cold conditions. 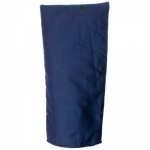 This is because they use a warm acrylic 7 gauge liner that provides excellent protection from the cold, while their comfortable inner liner keeps the hands comfortable even during periods of extended use. 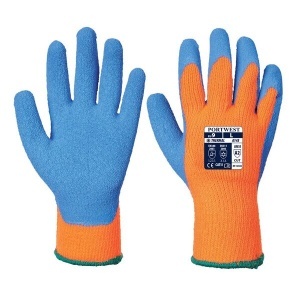 The Portwest Thermal Gloves are unique, as they are built specifically for use in cold conditions while undertaking general handling applications. They use a warm acrylic 7 gauge liner to prevent the hands from becoming cold, while their comfortable specially developed crinkle latex finish ensures high grip even in slippery conditions. 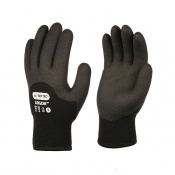 As a HGV driver these are a good substitute for cloth rigger gloves which get wet in this cold and wet weather. Warmer and longer lasting as well.